Two Sheriff's officers investigating possible drug activity shot and killed a suspected drug dealer after police claim the man approached them with a loaded weapon, Essex County Chief of Detectives, Anthony Ambrose, said today. The two plain-clothes deputies were conducting a narcotics investigation and approached their target in a building on North 9th Street in Newark. Ambrose said the man came out of the building with a loaded weapon. The deputies fired one shot each, killing the man, whose name was not divulged, Ambrose said. A group of residents, who had a different story about what happened during the confrontation, threw rocks and debris at the sheriff's car breaking at least one window after the incident. Witnesses say Quinonez was also bumped or hit by a police car on North Ninth Street before he was shot. 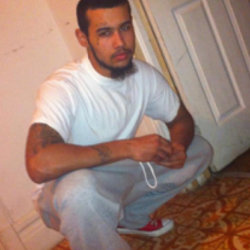 Ambrose told News 12 New Jersey he did not believe Quinonez was struck by the car.